Fossilized oysters are the witness of the past. They are a legacy from the Romans since the 2nd century with this proverb: “Oysters lead to Spirit and Love” . At Thau in front of the Mont St Clair and the Pic St Loup, oysters farms set the scene ! 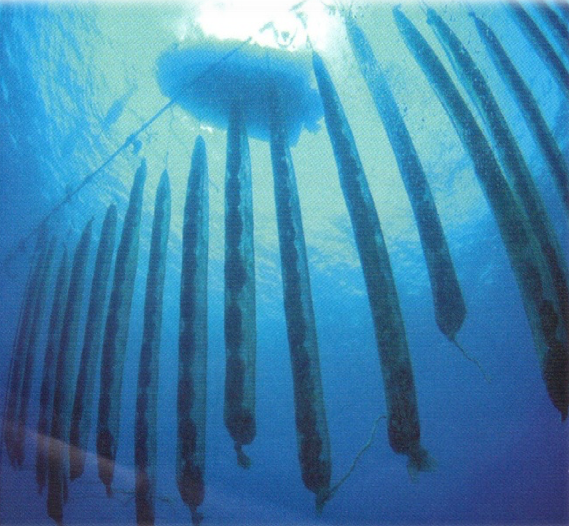 From there was born a unique sea ecosystem. There, the plentiful fauna and flora has a precious guest, a witness for sea balance : the Seahorse. 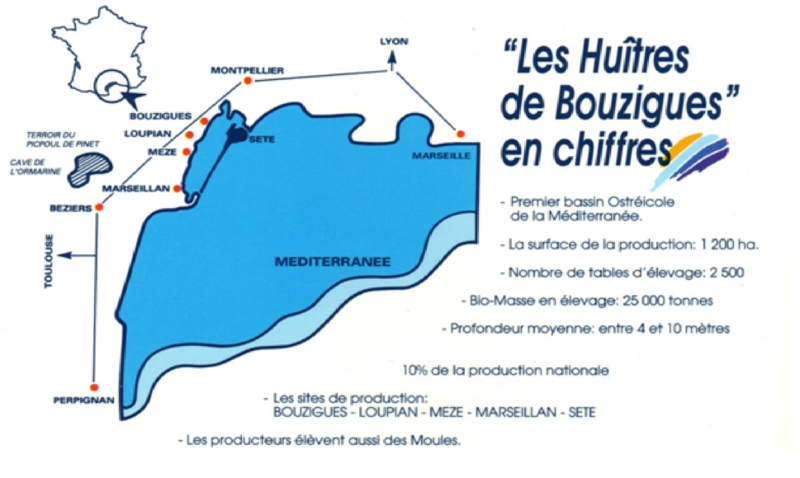 The mediterranean shellfish farmers celebrate and drink the “Picpoul de Pinet”, a local wine from Thau. 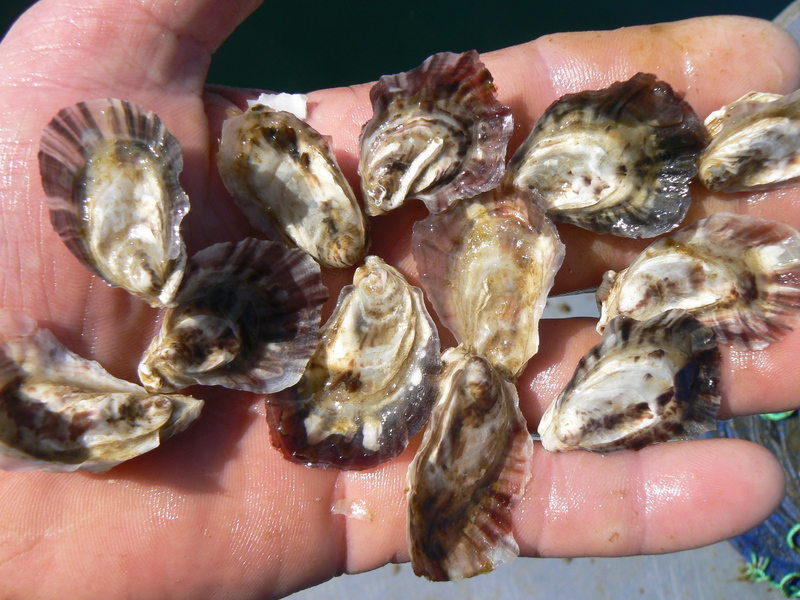 France is te 1st oyster producer in Europe and the 1st raw oyster consumers. 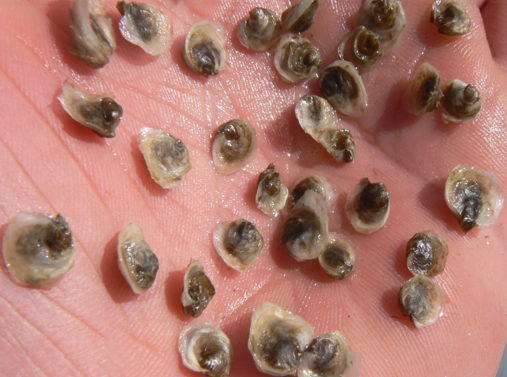 Oysters are born in a hatching company. We buy larvas and we put them in a friendly environment to grow. During this sensitive step, we have to be very careful about water quality and growth development. When the oysters are big enough, we use a sticking technique to keep them away from each other. 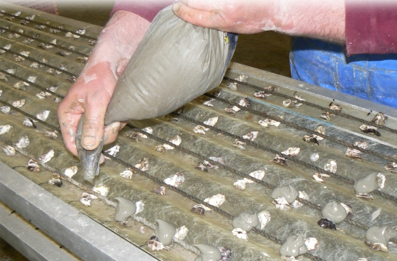 This technique give high quality oysters. 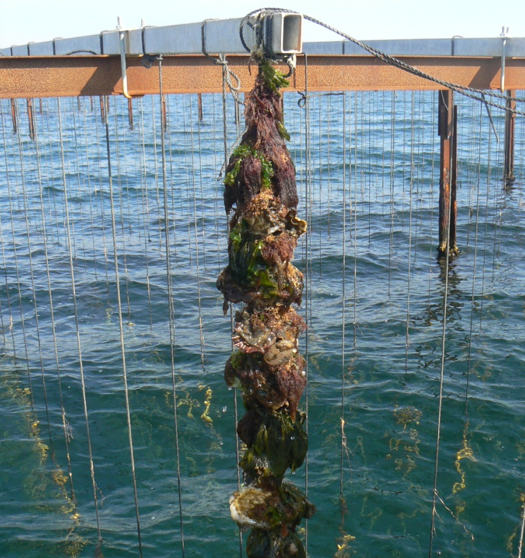 Then, the ropes are submerged and the oysters are going to grow between 10 and 12 months. After cleaning, grading, and packaging, they are ready to be sent to your place! 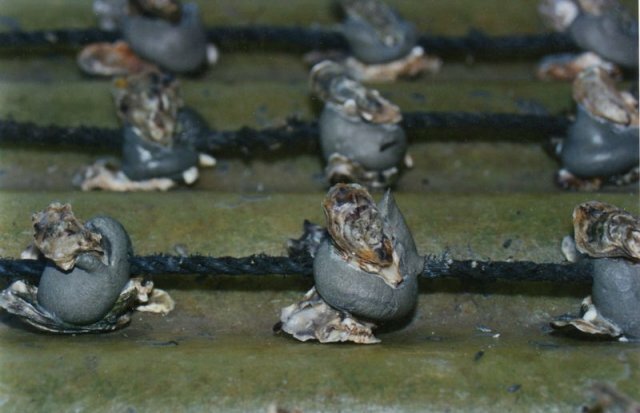 The world mussel production represent 53 kg per second so more than 1,65 millions of tons every year. 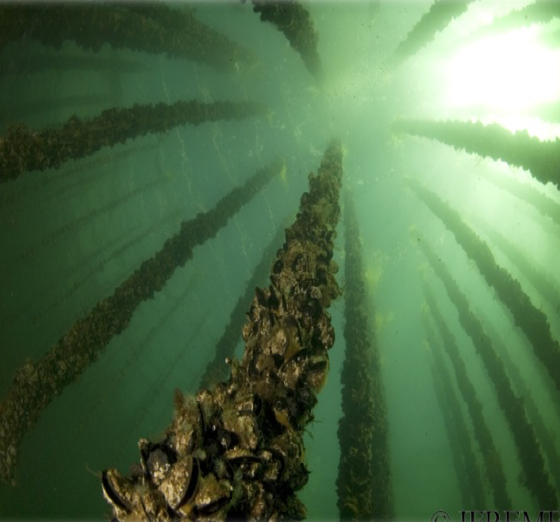 In France, in 2003, 1,8 were produced every second so 56.000 tons of mussels for the year. 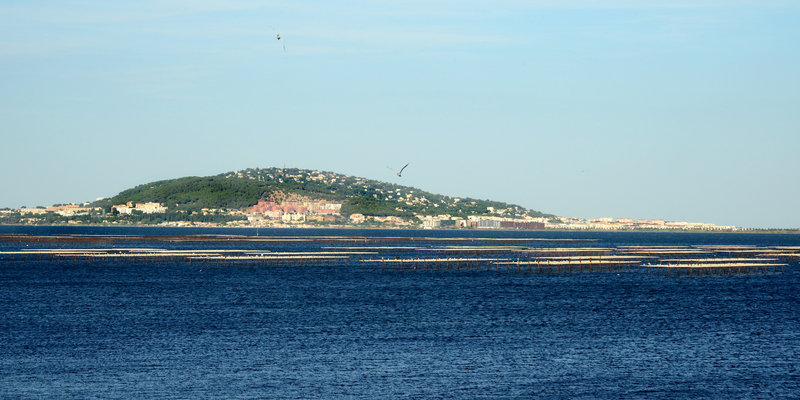 We are two different mussel farms : one is in the Thau Lagun and the other one is in the Mediterranean Sea. If this page made you hungry, check out our online boutique for oysters and mussels delivered within 24h!